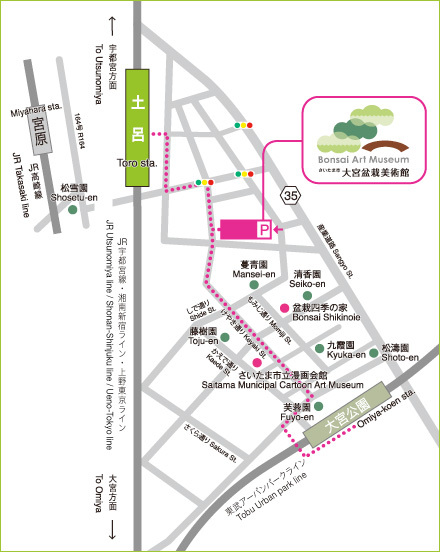 The Omiya Bonsai Village is located within a few minutes walk from our museum (Bonsai Cho, Kita Ward, Saitama City). 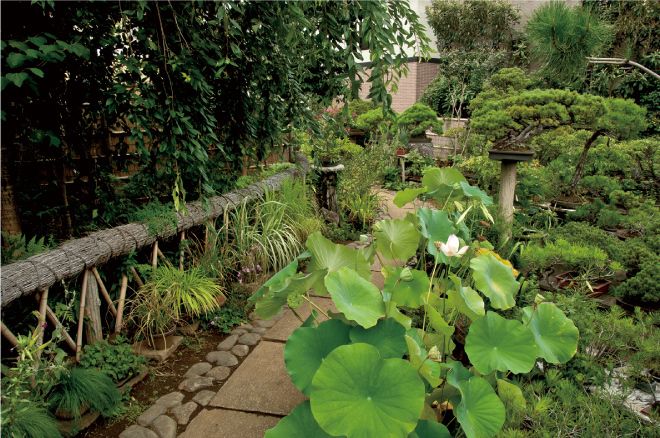 Long ago, gardeners living in the Bunkyo ward of Tokyo took care of the gardens of feudal lords and samurai. 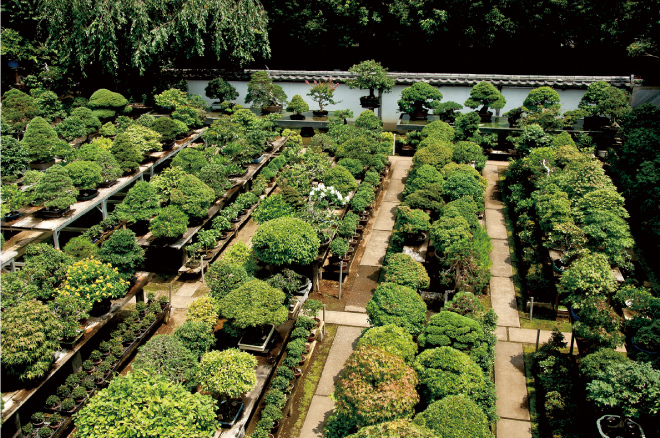 In the Meiji period some of these gardeners began to specialize in bonsai. After the Great Kanto Earthquake of 1923, a group of bonsai gardeners immigrated to this area in search of land suitable for growing bonsai. 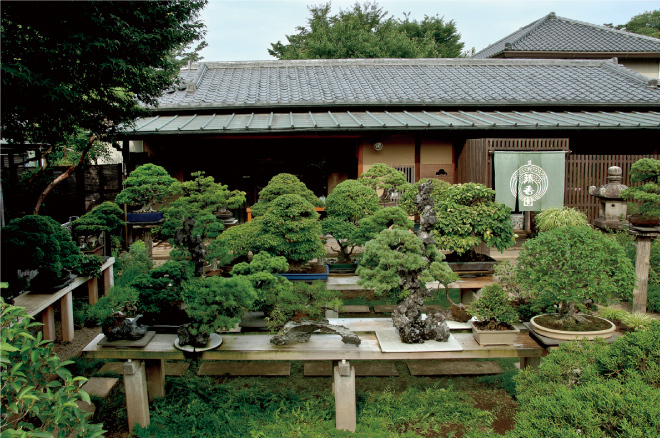 In 1925 Omiya Bonsai Village was established as an self-governed community of bonsai gardeners. 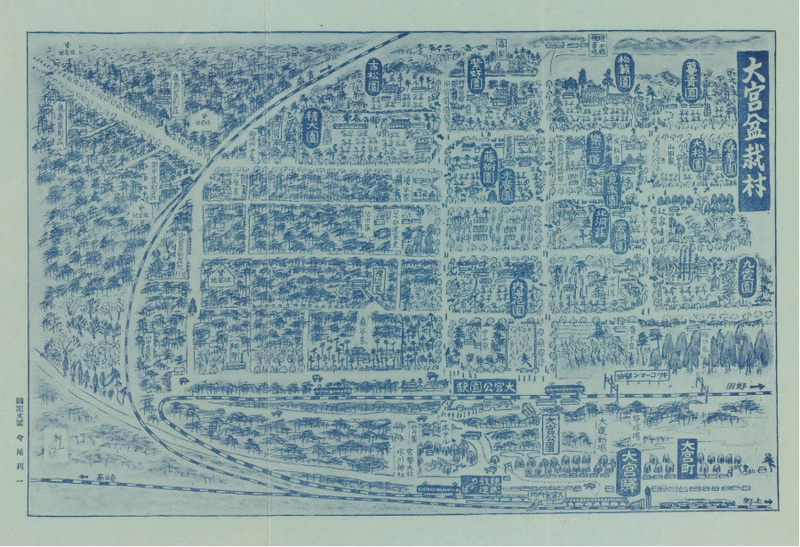 At its height, in 1930, around 30 bonsai gardens were a part of the community. 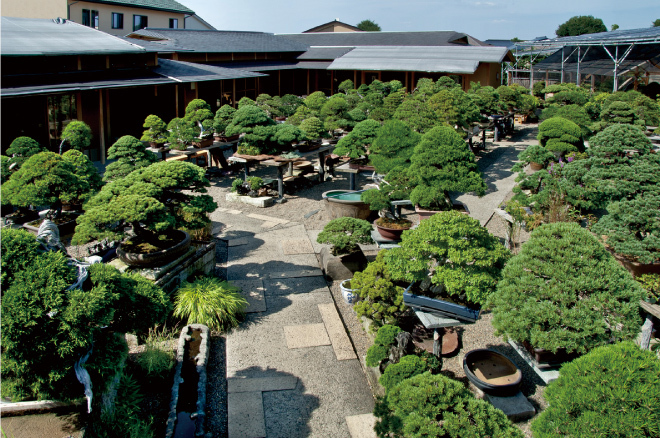 Even now Omiya Bonsai Village is known for its bonsai masterpieces attracting enthusiasts not only from Japan, but from around the world. 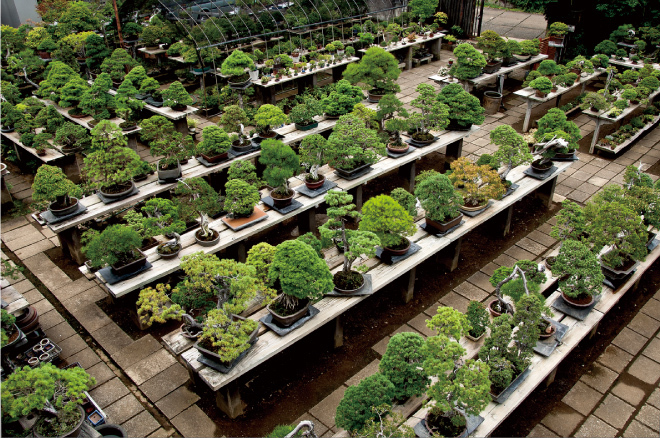 The gardens hold various kinds of bonsai, such as coniferous trees, deciduous trees and accessory plants. Different bonsai are created through the skillful work and the aesthetic sense of the bonsai master engaged in the creation of those bonsai. 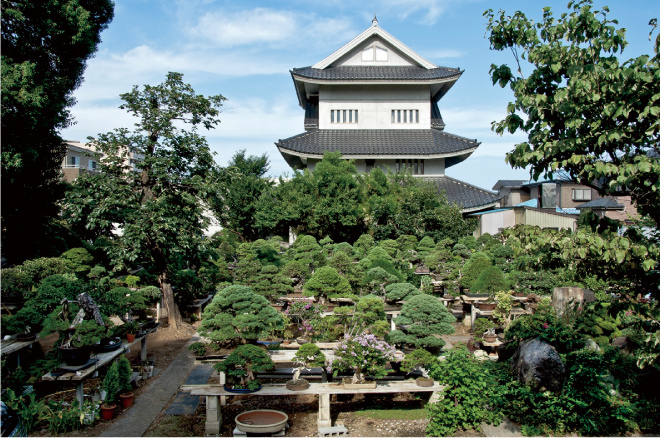 There are six bonsai gardens in Omiya Bonsai Village, and you can enjoy various bonsai created based on each owner’s persistence to his taste.